We're making the Murder Mystery Novel pin today on Crafty Thursday. 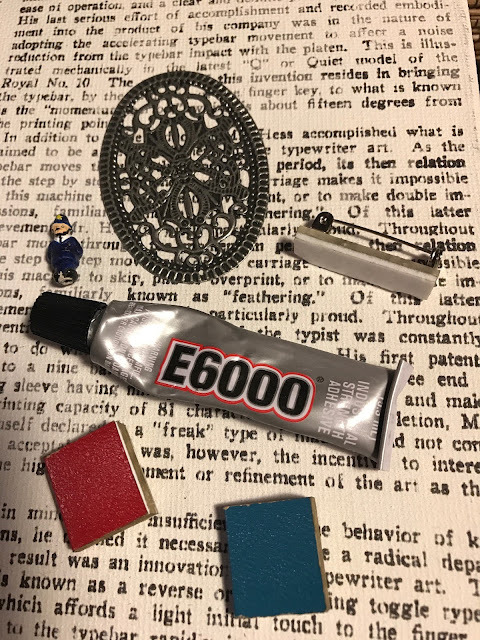 As you can tell by the weekly crafts here at Mystery Playground, we love to create and I hate to waste excess craft materials, so today's Murder Mystery Novel Pin was born from materials used in previous crafts. The pin base was one that I decided not to use for the SteamPunk Time Travel Watch Face Pin, the dangle bead at the bottom was also left over from that craft as well as the pin backing. 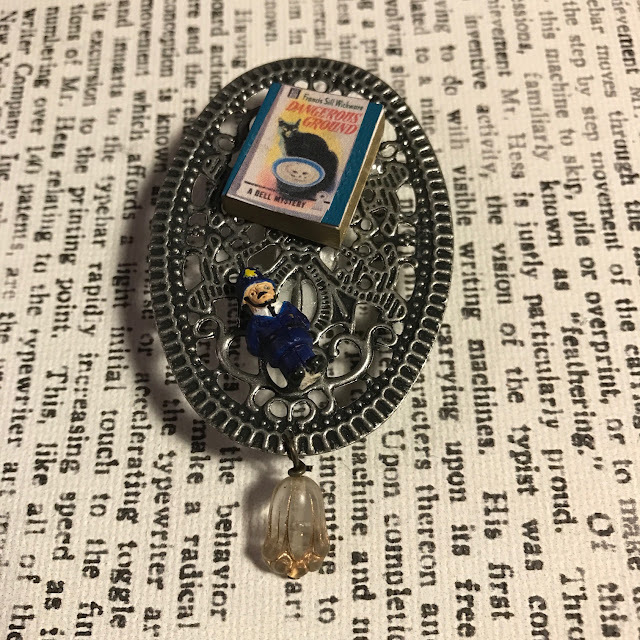 The miniature novel on the pin first made it's debut in the book earrings craft. And the policeman bead was used in the Dial M for Murder earring set. Now you know just in case you want to get extra materials to make the other crafts. Make your novel cover for the miniature book. There are detailed directions on how to do this here. Let the glue dry. Glue the Policeman bead and the book onto the pin as desired. Put your dangle on. Thread the head pin through the bead. Take the pliers and create a loop, thread it through the hole on the bottom of the filigree base. Use the pliers to win the wire around itself to close the loop. Glue the pin to the back. And you're done!